Shot this for specifically as a birthday gift to my nephew, who's a huge Harry Potter fan. 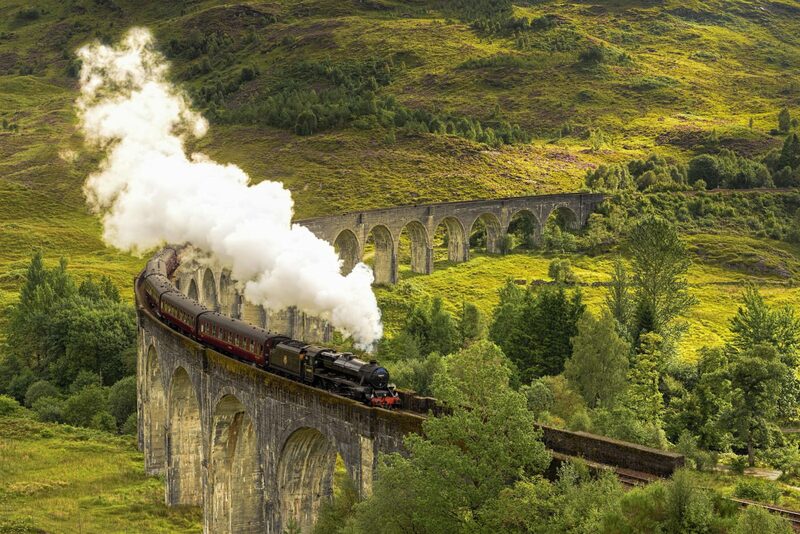 The Jacobite steam train was the inspiration for the Hogwarts Express as portrayed in J.K. Rowlings Harry Potter series. Took this shot this past Saturday in the Scottish Highlands; and happy to have had some sun! Wonderful photo – great job, nicely done.